Nowadays there is almost every crappy food available in form of processed foods also for people who exclusively choose to live on a plant-based diet. These junk foods are either made out of plants (most of the time conventionally grown + sometimes even genetically modified) and contain artificial additives, are full of added fats and hidden sugar. Generally said organically grown plants, fruits and veggies are healthier than conventionally grown plants, fruits, and veggies. Pesticides, herbicides, and fungicides are used in conventional farming and are not only bad for our soils but are also catalysts for many health problems and chronic diseases. In organic farming pesticides, herbicides and fungicides are not used. Organic farming is more complex and therefore the end products more expensive compared to the conventionally grown foods. However, products from organic farming also contain traces of pesticides, herbicides, and fungicides. They are often located next to conventional farms and get traces of these toxins through the wind. Besides the fact that it was grown conventionally or organically, the ingredients of the food play a big role too. DIY foods made from scratch tend to be healthier than the convenient processed fast foods. Processed fast foods from the supermarket are often made artificially, are loaded with fats, hidden sugar, salt, food coloring and artificial flavors. These products are better to avoid completely when you want to make a shift from crappy food towards a healthy living. These type of foods usually don´t contain the number of nutrients we need for our body. Instead they sometimes even carry substances which can bring our organism out of balance and cause health problems. Therefore better hands off these products as often as possible. Actually, I had a great struggle with turning away from junk food towards healthier foods. I was used to delicious foods from home but once I moved out from home I didn´t want to spend half of the day with preparing and cooking food. Just eating a carrot or an apple didn´t seem appealing to me either. Processed fast foods are very convenient. I just had to go into the supermarket, buy the food, reheat it and that was it. I had a delicious lunch or dinner within a few minutes. Processed fast foods are very quick & easy to prepare and for me, in the beginning, they simply also tasted better. While pure veggies and fruits, in the beginning, tasted for me like nothing. I didn´t have any chronic disease and didn´t want to gain or lose weight. My motivation turning towards healthier food choices was neither based on a physicians advice nor on a personally painful experience. However, I knew people around me who had serious diseases which are clearly linked to a poor diet. A guy who was already on a vegan diet and very much into healthy eating once told me that he is very surprised that I survived the last few years on such a poor quality diet. He asked me why I treat my body in such a bad way with all this crappy, low quality food. At that time I mostly ate frozen pizza, yogurts, puddings and a huge amount of chocolate on a daily basis. For his first question, I didn´t have a clear answer. I never thought about this question before. Although I knew it was not healthy and out of convenience I still filled my body up with junk. 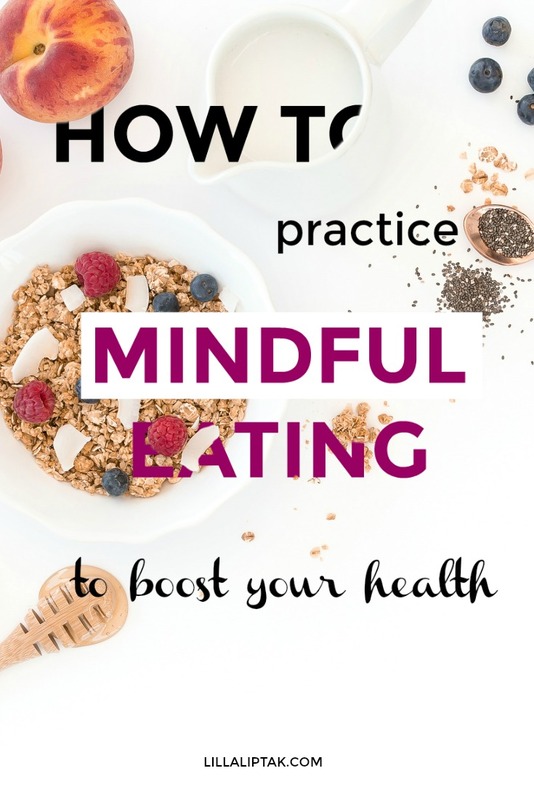 Once I started to think about this question I decided to start being more mindful of the things I eat and to pay attention to how I treat my body. 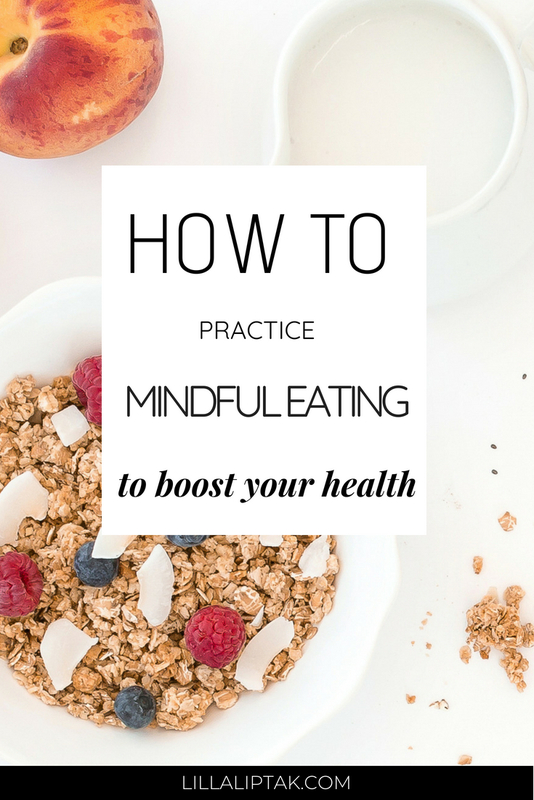 In retrospective, I can clearly say that mindful eating is a powerful form of self-love and self-care. Over time I had to learn that for me eating for pleasure is not the right approach when it comes to establishing a healthier lifestyle and especially healthier eating habits. It leads so far that I came to the conclusion, that it´s a wrong approach to choose my food for its taste. Please don´t get me wrong of course it is important to eat tasty meals. Eat for the benefits not solely for the pleasure. Especially in the beginning when you want to make a switch towards healthy food and you are used to a crappy food you might face some struggles. As mentioned above processed junk food is full of artificial substances like food flavors and a lot of sugar and salt. In this case, you will possibly find as well that in comparison fruits and vegetables taste boring or even like nothing. This is due to the fact that your gustatory nerves in your tongue were probably overstrung in the past and are not able to grasp fully the taste of natural food anymore. No worries I had the same struggles and there is a cure for it! It takes some time away from artificial food flavors, sugar and salt for your tongue to be able to taste real food again. I remember when I once bought real, fresh, organic raspberries after years of just consuming raspberry yogurt with artificial flavor. I was very disappointed because the real raspberry didn´t taste like the flavor I was used to from the raspberry yogurt. The real raspberry for me tasted like nothing. BUT every fruit and every vegetable has its own taste. I share with you my personal 5 step strategy which helped me to turn away from junk foods and make healthier food choices. 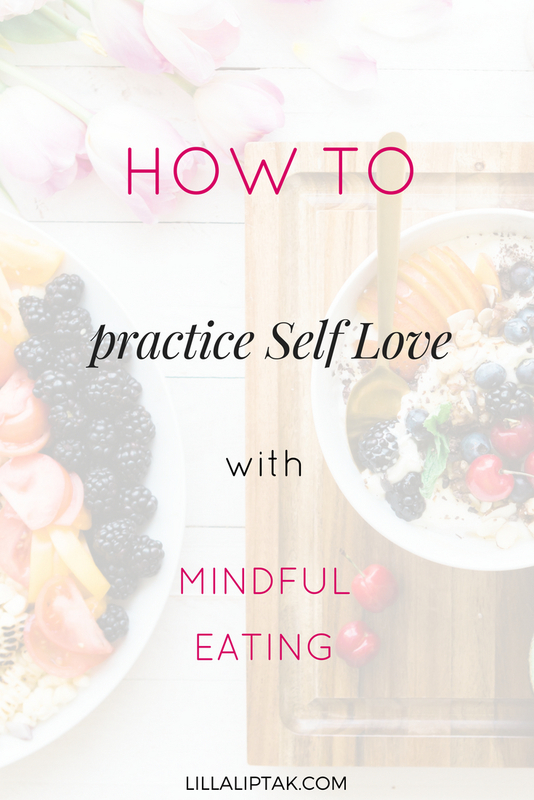 It is a way to practice self-love with mindful eating. 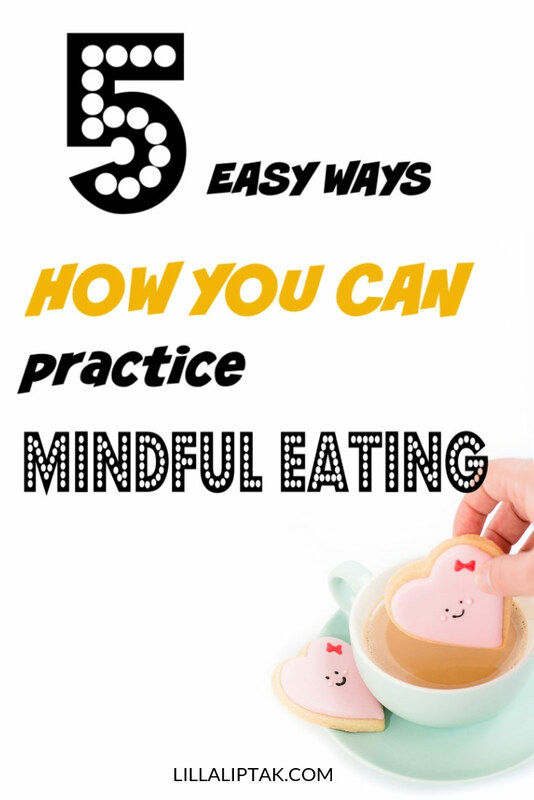 The first step towards mindful eating is to see the pattern when you are eating. In my opinion, eating should not be an act made out of an emotional reason – for example, a chocolate just because it tastes good, or an ice cream just because you feel bad. Eating should rather be a conscious act to take up nutrients for your body and organism to maintain a healthy body and to live a healthy life. Whenever you find yourself wanting an obvious junk, unhealthy food try to recall in your mind why you want to eat it and imagine how you want to treat your body. Eating can be seen as a sign of how much you care about yourself and how much you love yourself and your body. 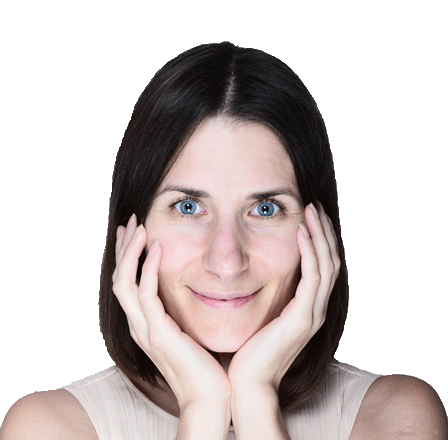 Are your body and your life precious for you and do you want to maintain or achieve a healthy life or do you want to treat your body like a waste bin and clutter it up with junk? It is very difficult in the beginning to make the switch from unhealthy food to healthy food when you are not used to the healthy alternative. I share some of my healthy alternative sweet recipes here on my blog. They are all 100% plant-based (vegan) and refined sugar-free. Be consistent but don´t be too hard to yourself. If it will not work out for you in the beginning – that´s normal. It takes some time to establish new habits. Keep in mind that it is already a gain when you make a conscious choice before eating your food and don´t beat yourself up after a piece of chocolate. 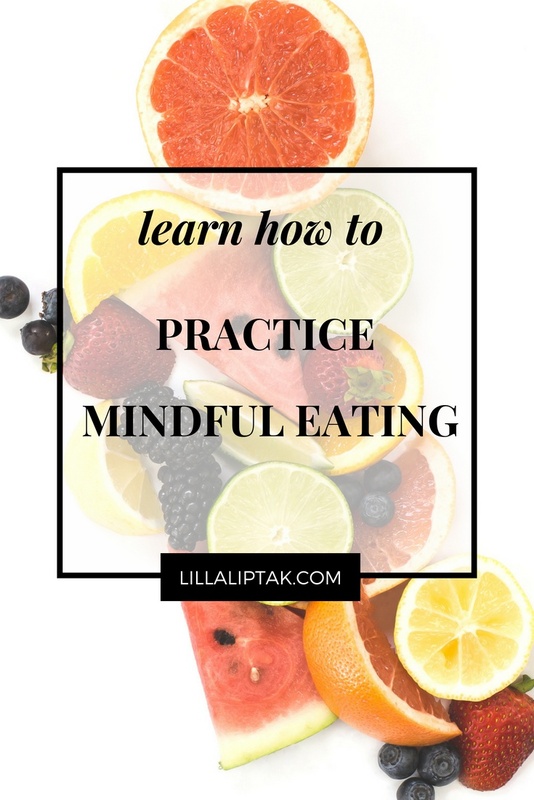 The more you practice mindful eating, the more you will find yourself in the situation of not wanting crappy food anymore up to enjoy eating healthy, natural tasty food. But as everything in life, it takes time to form new habits. Surround yourself with people who are living what you admire! This approach goes back to the concept that you are the average of the 5 people you surround yourself with. It means if you want to change let´s say as an example your crappy vegetarian diet into a healthy vegan diet, surround yourself with people who eat a healthy vegan diet. This is exactly what I did when I changed my diet from junk food vegetarian to healthy vegan. Look out for them, meet up with them, ask them questions, learn from them, cook together and eat together. And if you don´t know anyone in real life, you can read + watch and connect through blogs & youtube channels with people who are going in the same direction as you do. Feel free to email me as well if you have a question or want to connect! Try to eat slowly, chew your food thoroughly and enjoy it! Take your time and focus just on yourself and on your food while eating. Be grateful for the delicious food you are able to eat! This concept goes back to the Buddhist mindfulness meditation techniques. Its core concept is to be present at the moment and to focus solely on the now. Translated into eating this means, focusing solely on your food while you are eating. No distractions through devices, no text messaging, no multitasking, no watching tv. If you struggle with being in the now, I can highly recommend reading the book The Power Of Now by Eckhart Tolle! It gives you a deeper understanding of what it means being in the present moment! Do I tend to eat junk food when I´m in a hurry? Do I eat junk food out of emotional reasons, for example, because I feel sad? Make a conscious choice towards healthy food and say no to junk-food for the love of your body and your precious life! Cook together and eat together. Be present, be grateful, chew thoroughly and enjoy your food. What are your thoughts on junk food vs healthy food? Do you have a hard time going away from junk food as well? What is your biggest struggle and what helps you to make the change? WANT TO LEARN MORE ABOUT THE VEGAN DIET? Alena and Lars from Nutriciously created a great starter kit for a smooth transition. It´s called from A to Vegan complete starter kit. If you want to go on a vegan diet this is where I would start. 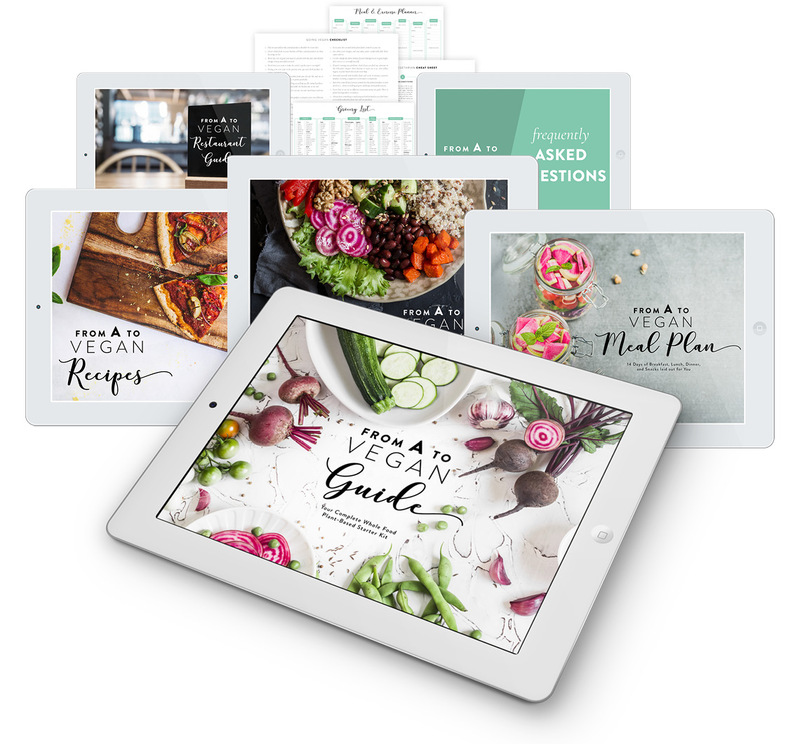 The starter kit is full of information including recipes and a meal plan for an easy start! PS: Please note that I do NOT give medical advice here on my blog. Ask your physician before you make any changes to your diet!